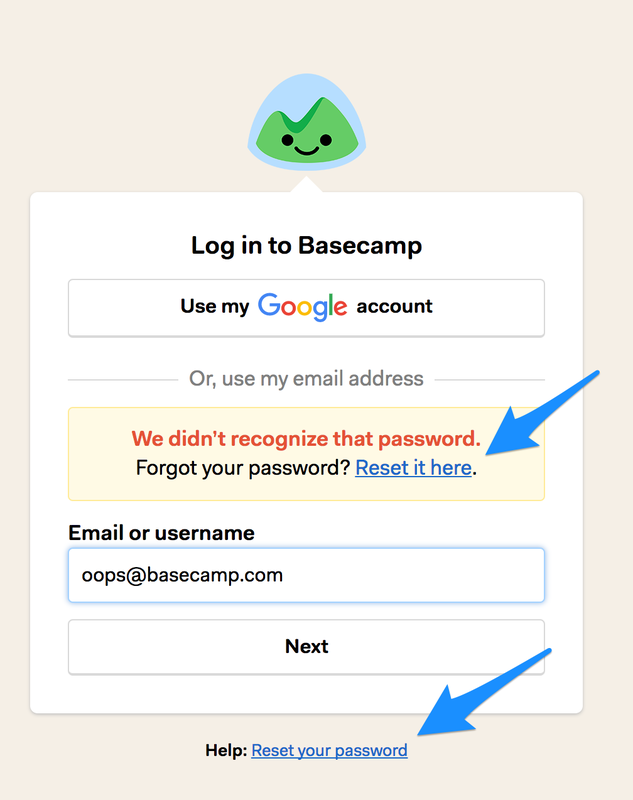 You can send a password reset email to any member of your account. After an unsuccessful login attempt, folks will see the option to have a password reset sent to them. Only the individual user can change their own email address (from the Me page), since each user has their own 37signals ID, which can be used across multiple accounts. Finally, click "re-send the email" to send them a reminder. You can also copy the RSVP URL and pass that along to your invitee. If you don't see this link, that person has already accepted your invitation!